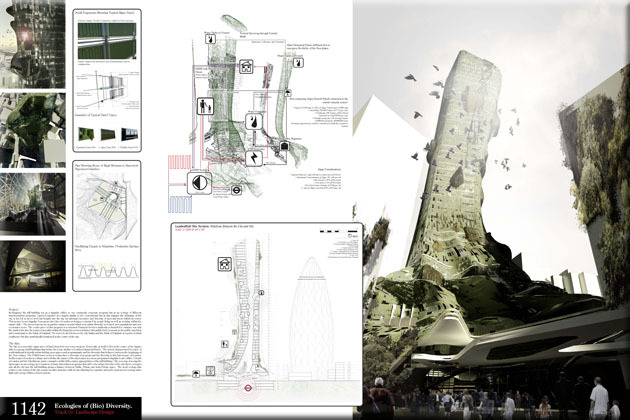 Ecologies of (Bio)Diversity: A Self Sustaining Tower for London. 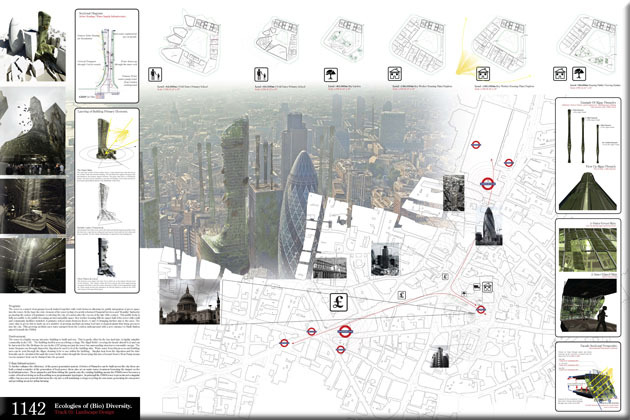 The building is a living ecology. Algal ‘fields’ covering the facade absorb CO2 and produce bio-diesel for energy. The waste biomass through anaerobic digestion feeds the building skin. Waste water is sent through the algae, cleaning it for re use. For more information about this entry, contact the author. email: dave26_10_83@yahoo.co.uk.